It is really hard for parents, especially in Los Angeles with the volume of auditions for young actors. You want to help your child but you don’t have any knowledge of the industry or acting. You want them to have fun, but also to book jobs so they feel talented and successful. It is a really difficult line to navigate. Hopefully these audition tips will help. These are also relevant to every actor auditioning or creating projects, the more we create the more ‘power’ we have – and the less we worry about impressing. 1. Let them be kids. Casting Directors are looking for a 10 year old to audition for TV shows– so they want a real and authentic 10 year old – not a 10 year old acting like a 25 year old rehearsed actor! So, many parents are telling them to be quiet, be polite, ask questions – all things that are great in life – but not really what directors or casting directors are looking for when they watch the kids come into the casting room. 2. Don’t make them memorize lines over and over again. I know – you want them to be off-book – and that is great if they have time. The things kids need your help with is in the creation of the life – through imagination. This is also what is fun about children being actors. This isn’t about pretending something – it is creating specifics about this character. On the way to the audition – improvise about the life they will be living – going over the lines will feel like a line read when they get in the room. Have fun with them, like choosing wardrobe for instance. What would this boy or girl wear? 3. Encourage your child to feel good about creating. Don’t obsess about “booking” – most of the time they won’t – but if they are enjoying the process – they will be happy and well adjusted. You cannot control whether they book or not. There are a million reasons why it won’t be them – hair color – ethnicity – age – gender – nothing you can really control. They have to understand that. When they arrive at the audition, continue creating what you started in the drive over. Yes, make sure they know their first line at least – but this will be much easier if they have created the life and understand what this character is going through. Memorization should come after the creation, if there is time. 5. Personality is just as important. Casting Directors want to see the child’s personality and freedom and not a controlled actor. This will happen if they are having fun and enjoying the process and not feeling judged. Don’t call them persistently! Respect their time in trying to get your child work. You can and should check in, but constantly calling to see if your child booked is not the best way to handle the relationship. Trust that they will get hold of you if they book! 7. Let them be in acting workshops that are good! They need to work with other young actors – as that helps them grow, and they need to create as often as possible. Coaching before a big audition is useful but often too late. When the big auditions do come along – they need to be ready and that comes with consistent training. Follow these audition tips for parents to help grow your childs confidence, ability and overall enjoyment of the auditioning process. Create, Create, Create! Check out classes for everyone including kids here. Need more acting advice?? 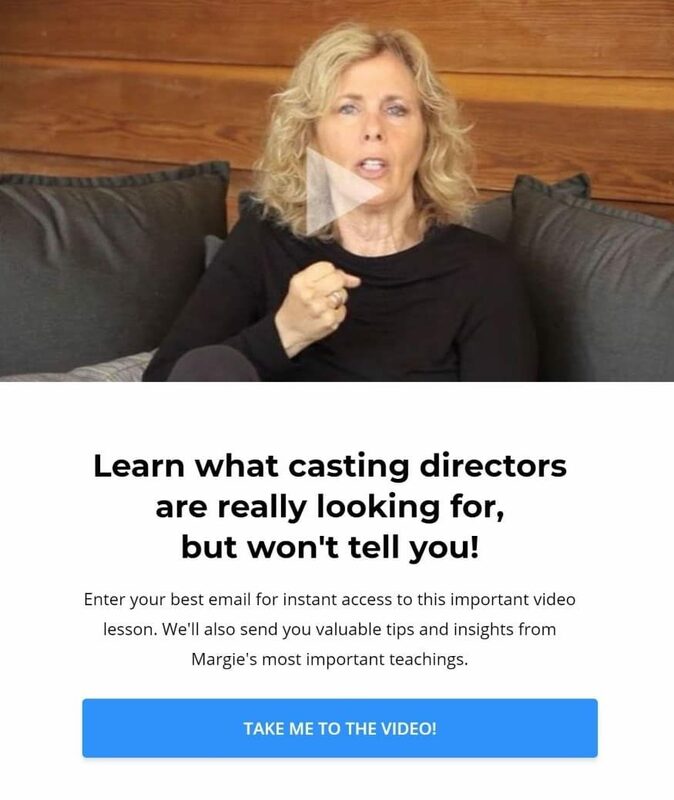 Sign up to the The Actors Blog in the top right corner.